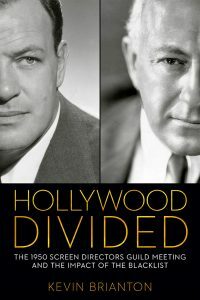 More than fifty books about Cecil B. DeMille have been published in the last ninety years. The books shown here are biographies that utilized the De Mille Archives. The books below deal in part with DeMille but are recognized references. Cecil B. DeMille: The Art of the Hollywood Epic uses unseen art in the De Mille Archives to illustrate DeMille’s career achievements. The book features concept paintings by Dan Sayre Groesbeck and Boris Leven; costume sketches by Travis Banton and Mitchell Leisen; and photographic portraits by Edward S. Curtis, George Hurrell, and Yousuf Karsh. Cecilia de Mille Presley shares her reminiscences of working on her grandfather’s films. Mark A. Vieira’s narrative includes previously unpublished archival information and his photographs of DeMille artifacts.